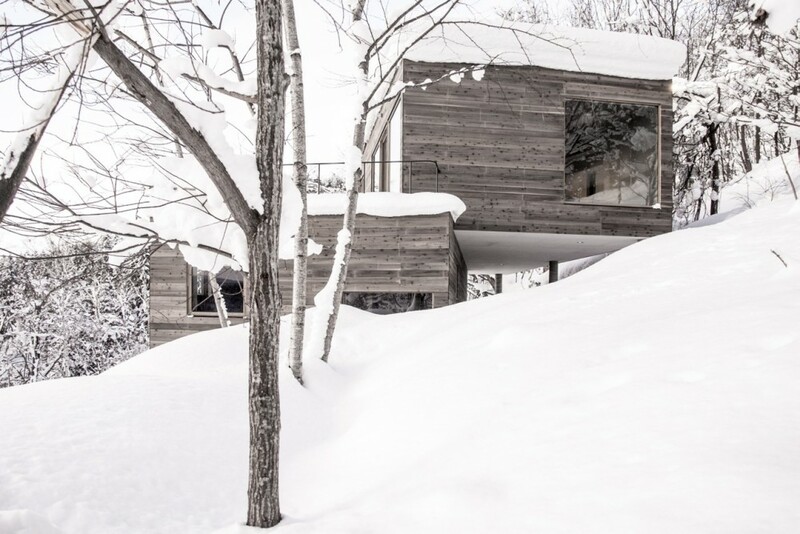 Built on a steel escarpment overlooking Niseko and Mount Yotei, L House is a perfectly proportioned holiday home designed by Florian Busch Architects. 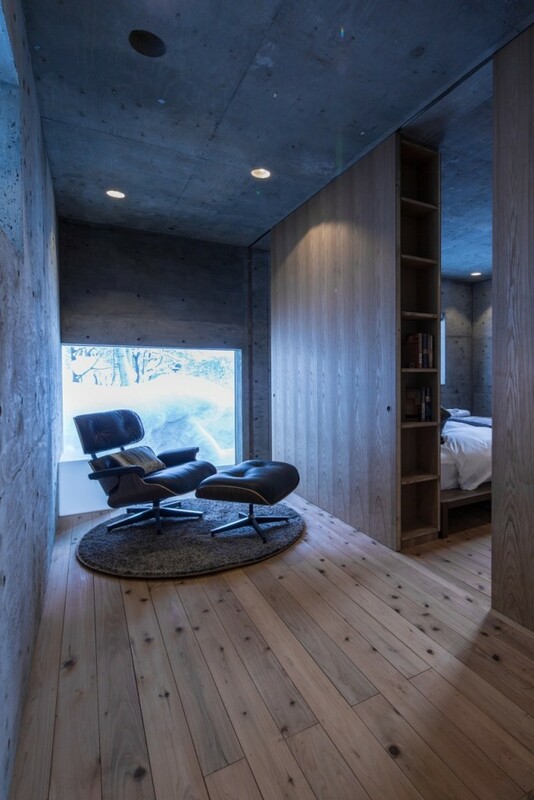 It is almost entirely grey in colour being composed of both silvered timber cladding and concrete, and has a distinctly minimalist feel which at times borders on mild brutalism. 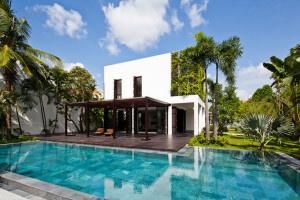 L House is composed of two separate volumes stacked on top of each other and the uppermost of these is rotated. This can be seen in the picture of the living room below in which the staircase opening is at a skewed angle in comparison to the adjacent walls. 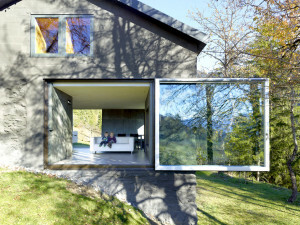 L House’s two volumes present a very efficient way to build on steep slopes. 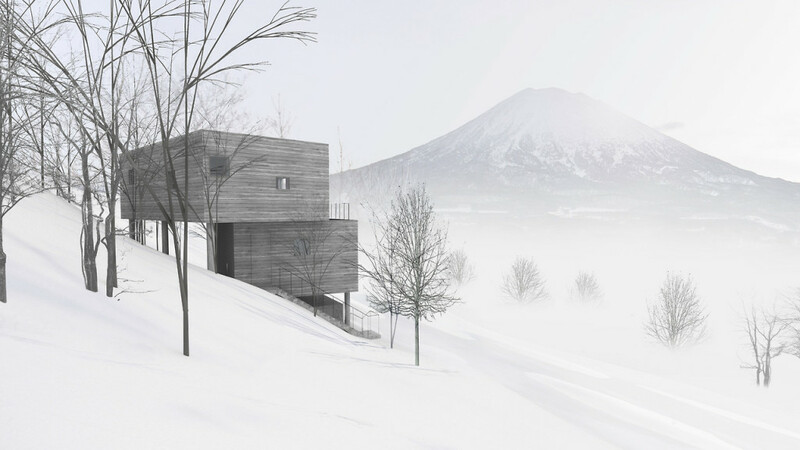 The house is situated on an escarpment, a sudden change in gradient on the edge of a plateau, which would typically be expensive and structurally complicated to build on. 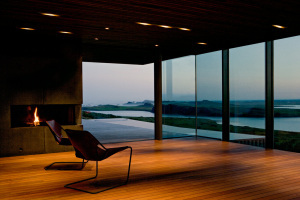 However in House L the upper box has been shifted horizontally and rotated so that it hangs over land even higher up the hill. 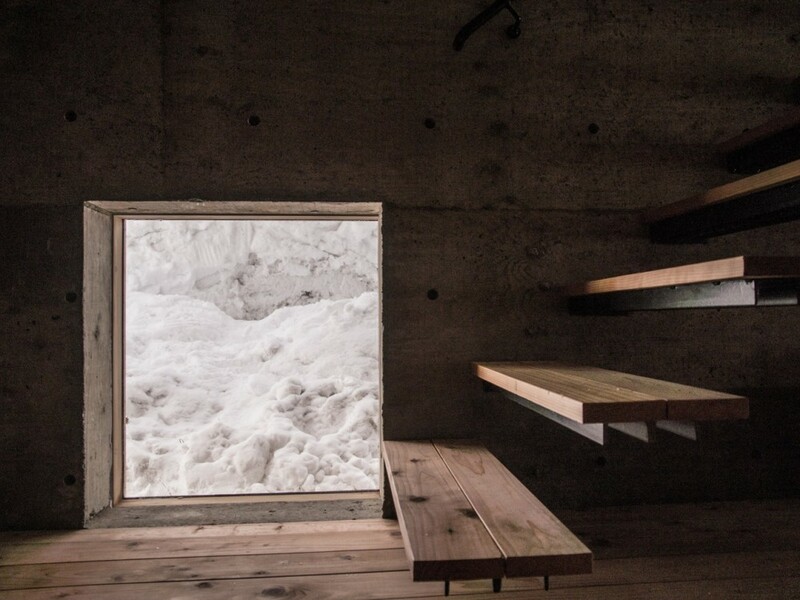 This forms a hollow void underneath in which you’ll find the entrance to L House as well as creating a roof terrace on top of the lower volume. 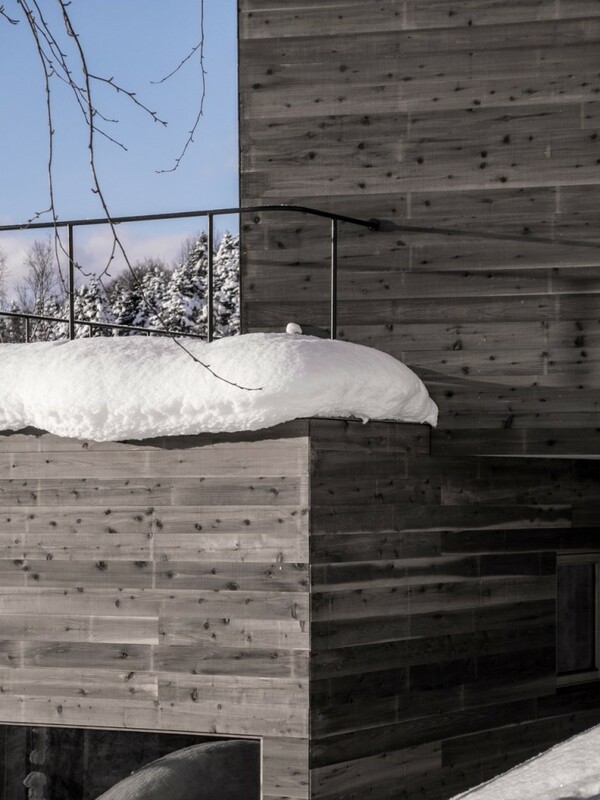 This simple approach is remarkably elegant and avoids having to cut into the hillside and reinforce the retaining walls which can be very costly. 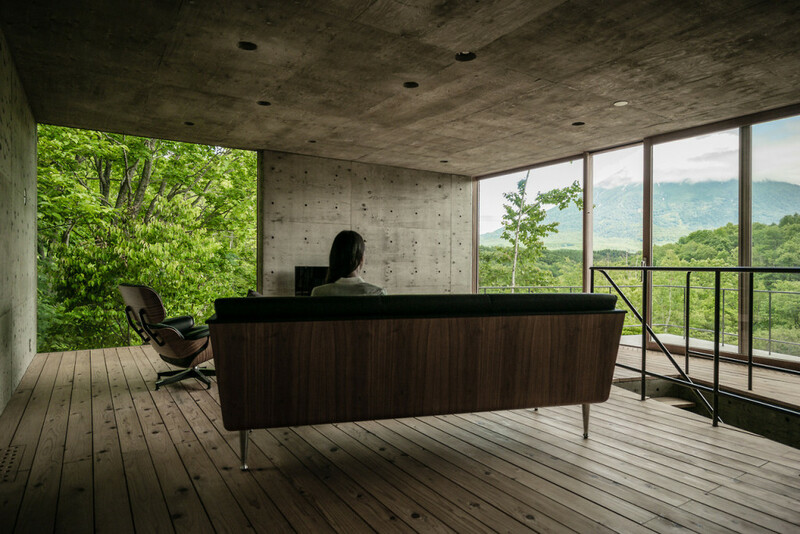 Rotating the living area also opened up the views it offers over Niseko. 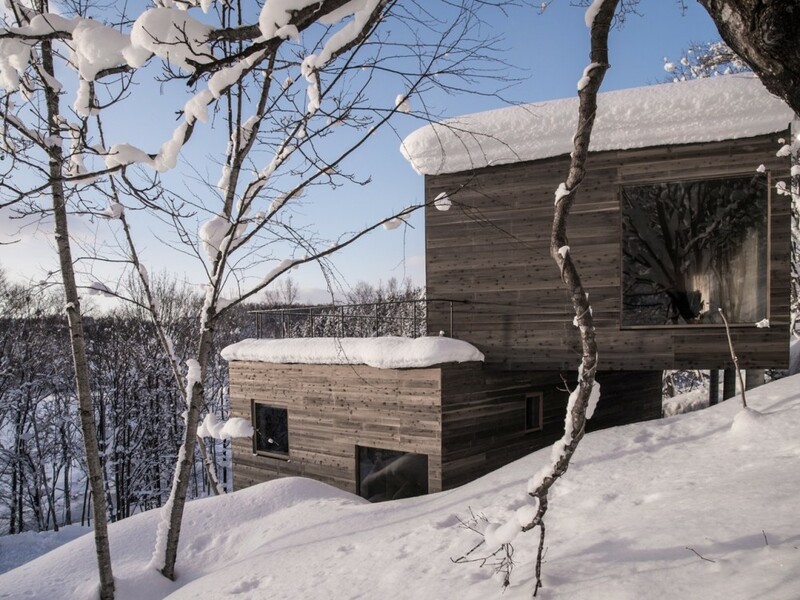 Another innovative way of building on a nearby slope was also presented by Florian Busch Architects in their ‘House on the Slopes‘ concept with a zigzagging, stretched out house that concertinas up a hill. While the exterior of L House is clad in beautifully silvered timber, the interior is almost exclusively finished in dark grey concrete. 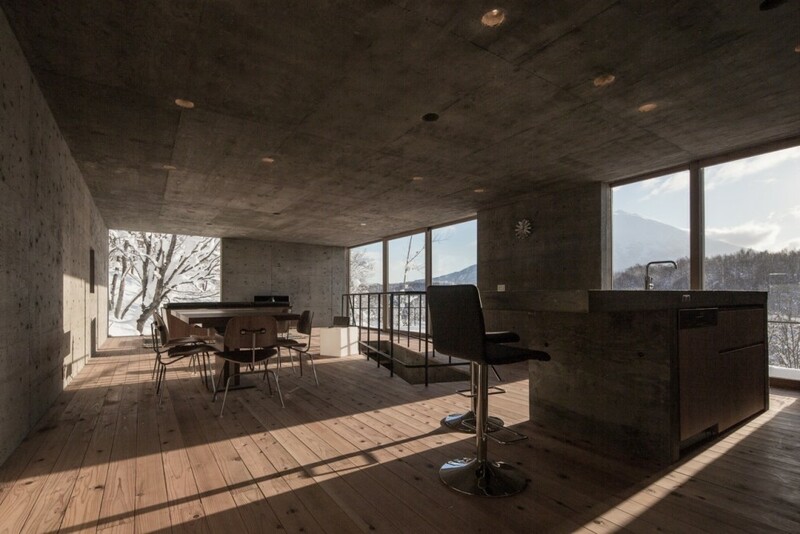 The structure itself is composed of reinforced concrete and this is one of a number of aspects to the build which demonstrate a sense of honest, efficient architecture. It appears as though holes were simply drilled into the concrete ceilings to house the down lights and portions of the walls left out during casting to accommodate the large windows. 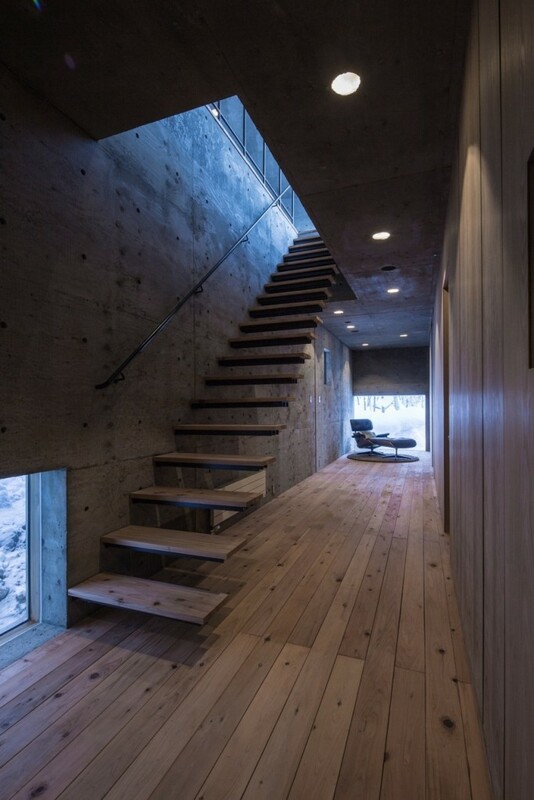 However at points the interior begins to border on oppressive as certain portions of L House appear to have very few windows. One example of this is in this long corridor and the down lights only seem to give out a warm but rather dim light. 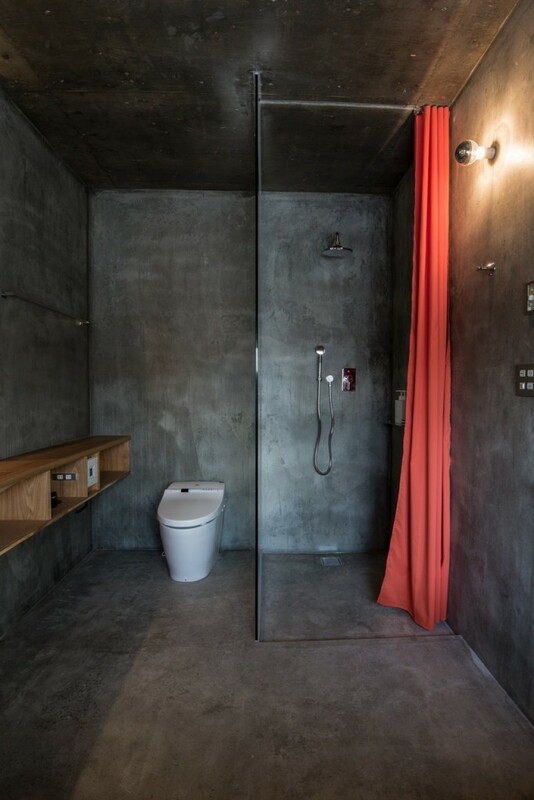 A minimalist, industrial interior is a hard thing to get right and the bathroom frankly resembles a prison cell; I’m all for elements of brutalism in residential architecture but this just looks dank. I think L House better suits a more vibrant summer setting which is a shame as it’s location means that it spends a lot of the year under several metres of snow. 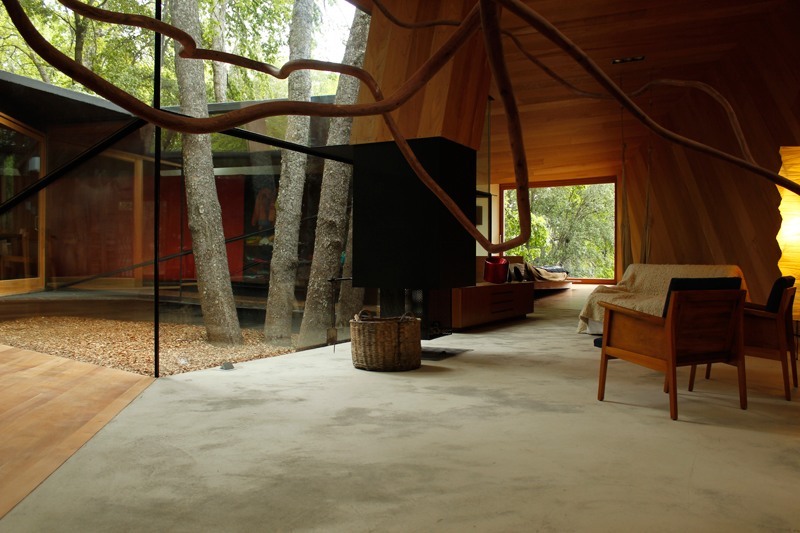 The interior is just too bleak for an already cold surrounding whereas it contrasts quite nicely and balances out the warmth of the lush green environ L House experiences during the summer months.